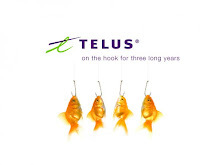 AVOID TELUS LIKE THE PLAGUE! The absolute worst phone company I have dealt with! The customer service wait line is horrendous-- expect to wait for at least 20 minutes to be greeted by snobby customer service representatives who may or may not HANG UP on you (after the horrendous wait time!). 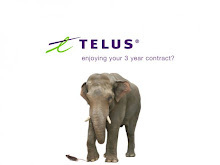 I have a three year contract with Telus, the first two years were fine, however the past few months have been absolutely horrible, and speaking with family and friends-- I am obviously not alone. I was charged for long distance phone calls that I did not make (I never make long distance nor do I pick up long distance phone calls on my cell phone). After calling Telus to inquire about these suspicious charges, their reply was "maybe you made them and just forgot about them". I didn't want to deal with the absolutely rude customer service rep so I decided to just pay the (fraudulent) $25.00 in LD charges. A few weeks ago I made a call to Telus to temporarily disconnect my phone for three months as I was going on vacation. After waiting for half an hour for a customer service rep, I asked her how much the vacation disconnect would cost me, and if I could disconnect the service three days from the day I made that call. She completely ignored my inquiries and gave me irrelevant information in addition to INTERRUPTING me to the point where I couldn't help but stop speaking. She eventually hung up on me when I asked for her name and her supervisor!!! I immediately called back and spoke to someone from a higher department to complain about the hang up; she assisted my call, and told me that my next billing cycle would amount up to $12.00 while the phone is on disconnect. I checked my bill this morning, and it is $52.00. It turns out they messed up my bill AGAIN!!! This is probably the fifth time! I am NOT looking forward to dealing with the horrendous department Telus likes to call customer service representatives. I'll update you on what happens. Like you I have had nothing but problems with Telus in the last year. I have spent 11 hours in 3 months dealing with there crap. I do not want to have to phone in every single month to have my bill adjusted for errors.